Came across this quiz on the Chaffin Luhana, LLP Pittsburgh, PA personal injury law firm website. I like searching the web while looking for different distracted driving related quizzes and testing my knowledge out on them. Usually each quiz has pretty similar questions with the same type answers which is good that people are trying to do their part in stopping distracted driving, but the quizzes in all honesty are more often then not, pretty boring to do. I like this quiz because occupaning each answer to the questions is a graphic, or video that supports the answer. The graphic visualizations included in this quiz make it much more visually stimulating and offers the user much more then just a simple question and answer. Here are the quizzes Q&A’s, including each visualization and or video. 1. ) IF YOU ARE DRIVING AT 60 MPH, HOW FAR WILL YOUR VEHICLE TRAVEL BEFORE YOU STOP? On Average, It takes nearly 7 seconds to stop and you will have traveled more than the length of a football field! 2. ) ON AVERAGE, HOW LONG DOES A DRIVER WHO IS TEXTING TAKE THEIR EYES OFF THE ROAD FOR? 3. ) MULTI-TASKING IS WHAT ALLOWS YOUR BRAIN TO BE ABLE TO FOCUS ON BOTH DRIVING SAFELY AND TALK ON A CELL PHONE AT THE SAME TIME? 4. ) CELL PHONES RELATED ACCIDENT DATA IS UNDER-REPORTED. WHY IS THAT? 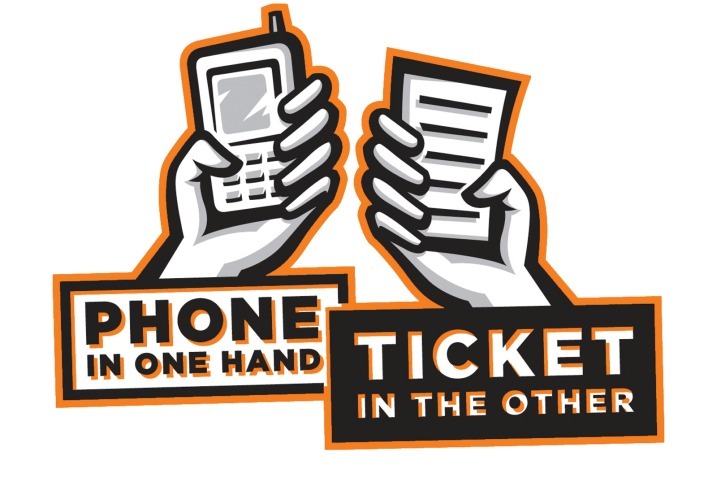 -There is no equivalent to a blood alcohol test to confirm cell phone use in all crashes where cell phones are involved. 5. ) TEXT MESSAGING WHILE DRIVING CREATES A CRASH RISK HOW MANY TIMES HIGHER THAN DRIVING WHILE NOT DISTRACTED? 6. ) IF YOU ARE DRIVING, IT IS MUCH SAFER TO TEXT USING VOICE-TO-TEXT THAN MANUAL TEXTING? 7. ) HOW MANY PEOPLE DIE EVERY DAY FROM TRAFFIC ACCIDENTS? 8. ) WHAT DOES #X MEANS? 9. ) WHICH AGE GROUP HAS THE HIGHEST PERCENTAGE OF PEOPLE WHO APPROVE OF THE USE OF HAND-HELD CELL PHONES WHILE DRIVING? 10. ) WHAT PERCENTAGE OF PEOPLE ADMIT TO HAVING TEXTED WHILE DRIVING? Here is a link to the original distracted driving quiz so you can go take the real thing and test out your knowledge.